I hope you will join my family this Sunday, December 16th at 5:00 p.m. for Christmas at Christ Community. Come and listen to our Worship Team as they present timeless classics, modern interpretations, and everything in between. There will also be a special performance from our Children’s Choir! Young and old will enjoy this evening, and I can’t wait to see what all is in store! I want to encourage you to invite someone to join you. The gospel will be presented, and people will be given the opportunity to commit their lives to following Jesus! There will be a short coffee, hot cocoa, and dessert time to follow. Childcare will be provided for infants through Pre-K. Challenge #2: Ask yourself if you have been radically generous and have honored God with all he has given you in 2018. 1. The Christmas Missions Offering (CMO): Each December, we invite our church family to give a special giftto our annual Christmas Missions Offering. This year, our focus is on giving to international missions. At Christ Community Church, we partner with the International Mission Boardto support 3,800 missionaries and to equip, train, and send future pastors and church planters to the nations. 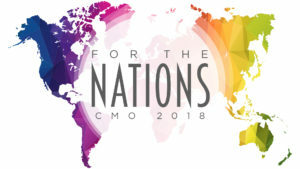 Your giving to the Christmas Missions Offering (CMO) enables missionaries to be sent to make disciples and multiply churches among unreached peoples and places for the glory of God. Make sure you mark your gift “CMO”so we can get it to the right place! 2. End-Of-The-Year Giving: I encourage you to evaluate all the ways God has blessed you and ask yourself if you’ve honored God with the income he’s give you this year, including salary, bonuses, stock, and other gifts. Do not minimize the importance of honoring God with at least one tenth of all he has provided for you during 2018 by giving to our ministry budget at Christ Community. The Ministry Budget is the source of all we do at our church. Our children’s ministry and student ministry depend on your gifts. Our Sunday services and our wonderful facility are funded by your gifts. Our evangelistic events like our annual Vacation Bible Extreme and Thanksgifting where we saw many children and students give their life to Christ are funded by the ministry budget. These are vital to our mission, and your faithful giving helps us see real change in real people. Consider giving a special gift to our church this holiday. If you have questions about giving stocks, bonds, or other forms of gifts, please call our church office and ask to speak with Cheryl Nelson. You can also email me with any questions at pastor@ccchuntersville.com. May God be honored in the way we worship him through our giving. 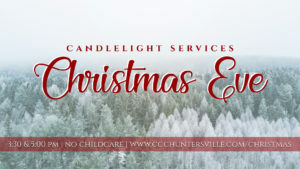 We are happy to announce that we will have two Christmas Eve services this year at 3:30 p.m. and 5:00 p.m. Our Christmas Eve service will include Christmas hymns and songs, baptisms, a special time for our children, and a candlelight moment. It’s a great time for families to come together in community to celebrate the wonder of Christmas. Many people who don’t usually attend a church worship service are more likely to consider attending church on Christmas Eve. This gives you a unique opportunity to invite someone to church who might just say yes! I encourage you to make the ask and trust the Lord with their answer. So don’t forget, two Christmas Eve services at 3:30 p.m. and 5:00 p.m. I will continue our Advent series this Sunday by looking at the subject of Peace. What is peace and can we actually have it? How does knowing Jesus bring the peace that our hearts long for? I’ll be addressing these questions on Sunday. 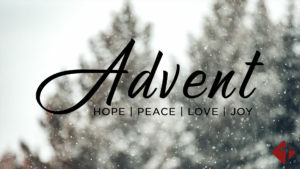 If you missed the opening sermon in our Advent series, you can watch it here. One more note regarding Sunday… There is potential for snow on Saturday night and early Sunday morning. Our policy is we do not cancel Sunday morning services. So yes, we WILL have our 10:30 a.m. service as normal on Sunday. If snow does indeed come our way, please do not risk coming out if conditions are not favorable for traveling. We will broadcast our service live on Facebook and on our website as normal so you can worship with us from the comfort of your warm, cozy home. We will make a call on our Christmas Concert sometime before Sunday based on weather predictions. We will communicate this with you as soon as a decision is made on whether or not we will have it or move it to another date. With that said, I hope it doesn’t snow so we can see each other on Sunday. Lord willing, I’ll see you on Sunday as we continue to reflect on the ever-so-important reality that God came down to ransom his people for his glory.